Good hearing protection for the shooting range or in the field while you can continue to communicate with the people around you. Two different color caps are supplied as standard (Orange & Green), which makes this hearing protection suitable for hunting and shooting! This hearing protection is one of the most commonly used hearing protectors in shooting sports, due to its easy operation and proper operation! The battery life with these Peltors is very long, the batteries can last for many months. Note: battery duration depends on how often you use the pitchers per week. 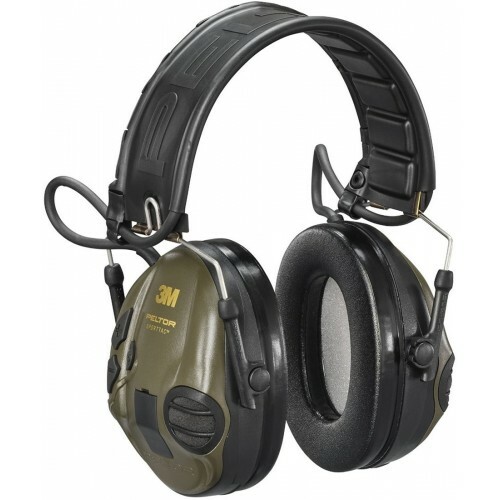 If you normally use the hearing protectors +/- 2 days a week, for example at a shooting range, you can use approx. participate for three quarters of a year!